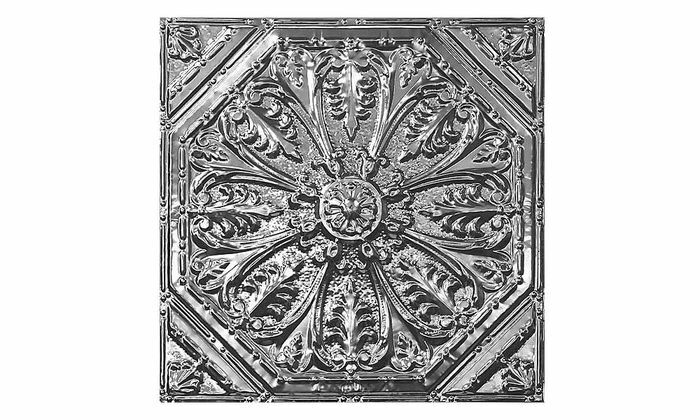 No longer does the sophisticated look of a stamped metal ceiling tile have to remain in the bygone days of the Victorian Age. 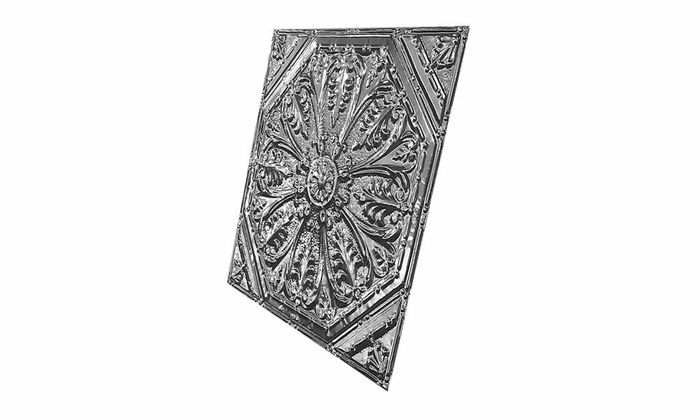 That same element of elegance can be found with the pressed tin ceiling options that are available here and now. Not only have these tiles of steel and tin exist unchanged since the early 1800's in how they look and are made, they remain resilient in their decorative relevance. Don't let the ceiling limit the imagination either. As a metal tile, it has a durability and fireproof nature that makes in versatile in decorating. Use them on the ceiling, as a complete wall covering, or just half a wall such as a wainscoting. Improve the look of a kitchen with a tin backsplash, metal cabinet doors, or as table tops and hutch backdrops. Having a stamped metal tile provides the illusion of control over this period of decorating style by simply complimenting its already attractive appearance with paint manipulation. Give a bar that 1920's present day touch with tin tiles painted glossy white or purposely crackle and chip the paint to give the room an age of that same era vibe.